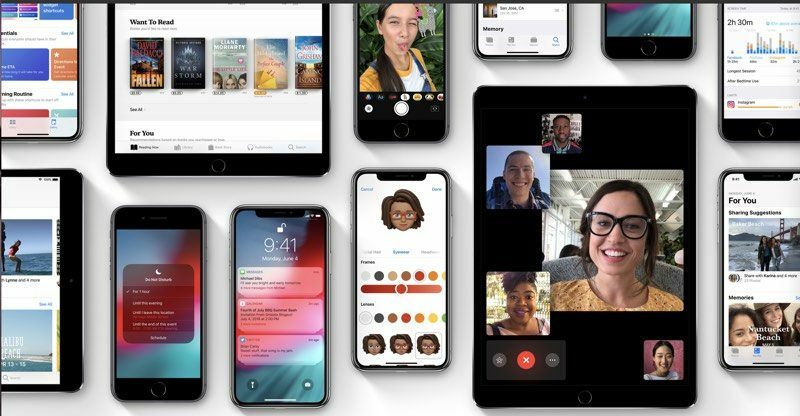 Apple today seeded the first beta of an upcoming iOS 12.3 update to developers, a few days after the launch of iOS 12.2, a major update that introduced an Apple News subscription service, new Animoji, and tons of other changes. Registered developers can download the new iOS 12.3 beta from Apple's Developer Center or over-the-air once the proper configuration profile has been installed from the Developer Center. As a 12.x update, the new software may include more significant features than the smaller 12.x.x updates. iOS 12.3 will mark the third major update to iOS 12 after iOS 12.2, an update that brought an Apple News subscription service, updates to the TV remote and TV features in HomeKit, Safari changes, new Animoji, tweaks to the Wallet app, and more. iOS 12.3 could potentially introduce the revamped TV app that Apple is planning to debut in May, and it may also bring improvements to the Apple News+ service that launched on Monday. The redesigned TV app, which will be available on Apple TV and iOS devices when it launches, has an updated look and new functionality. A new recommendation engine will surface TV shows and movies that fit with your interests, while a new Channels feature will let you subscribe to and watch content from sources like HBO, Starz, and Showtime right in the app. We don't yet know exactly what's new in iOS 12.3, but once we've installed the software, we'll update this post with any new features that are discovered. What's new in iOS 12.3: Today's update includes Apple's new TV app, which will see a public release in May. What about releasing watchOS 5.2? Don’t expect any new features. At this point it is just a maintenance update. Especially don’t expect the dark mode. iOS 13 is where the fun is at. Guessing we'll see the "new" TV app. iOS 12 is where the speed is at. Absolutely feel no need to upgrade my aging 6S Plus. 12.2 has just cemented that even more so. Bad for Apple in the short term but fantastic in the long term as I’m happy enough to stick with another iPhone next upgrade and they can bet it’ll be a X series device. My guess would be an updated TV app, maybe not right away, but probably in the final release since they said it would be released in May, which would make sense for a 12.3 release in May. Wouldn't expect either of these until iOS 13/macOS 10.15, if not 13.1/10.15.1. Hahah because all apple does is add Animoji. Good one.